Charlotte's fail-safe recipe for perfect lips. Enriched with a breakthrough, secret ingredient, the Lipstick Tree, an antioxidant that naturally protects lips from UV damage and external pollution leaving them cashmere soft and irresistible. Blended with special waxes and clever light-diffusing pigments for pert, full-bodied, ultra-brilliant lips that ensure you leave a lasting impression! 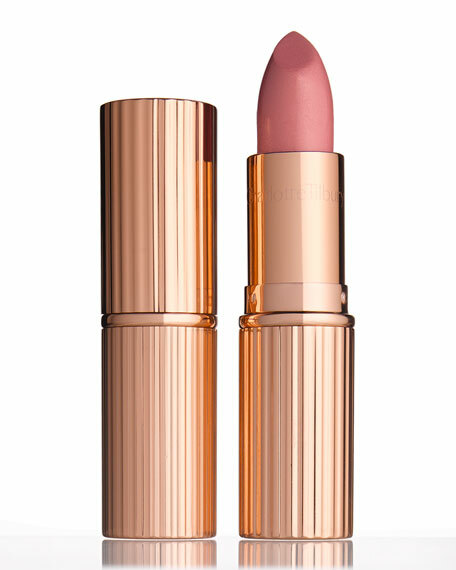 K.I.S.S.I.N.G lipstick shade to perfect your lip shape and make lipstick stay in place from desk 'til dusk. The Lip Stick Tree protects lips from UV damage and fighting oxidative stress so that lips are left soft, pert, soothed and hydrated. A tropical plant originating from America, the plump yet prickly red fruits appear like pouting lips that blow kisses at you as you walk by. The colour from its seeds was originally used by Indigenous American people to paint and protect their lips. 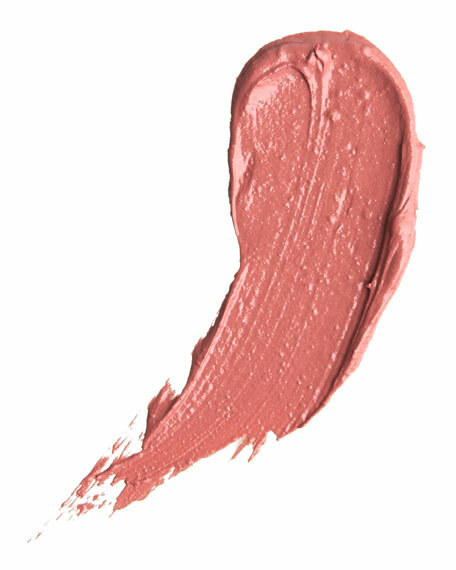 Also contains light-diffusing pigments that give lips a brilliant, luminous, multidimensional finishthey capture the light across the lips and reflect it back out for a full-bodied effect. A special blend of waxes means this lipstick is a dream to use and glides over the contours of your lips. The result is colour rich and buildable, the formula does not bleed outside the lip line. FOR THE DAY: Always use the matching LIP CHEAT Lip Liner in KISS 'N' TELL for naturally defined lips. Apply K.I.S.S.I.N.G straight form the bullet for a quick, easy lipstick slick, or for more precision apply using LIP BRUSH. FOR THE NIGHT: To glam it up for the evening, layer my LIP LUSTRE Lip Lacquer in HALL OF FAME on top of your lipstickthe ultimate red carpet trick. For in-store inquiries, use sku #133950.